Angel Prayers! What Are They & Should You Use Them? Should You Pray to Angels or Is It Wrong? This is a question I get asked all the time. The answer depends on your definition of prayer. There are a few different meanings for the word prayer. The first: “A solemn request for help or expression of things addressed to God or an object of worship.” According to this definition, no, you shouldn’t pray to Angels. We never worship Angels. Angels don't want to be worshiped. 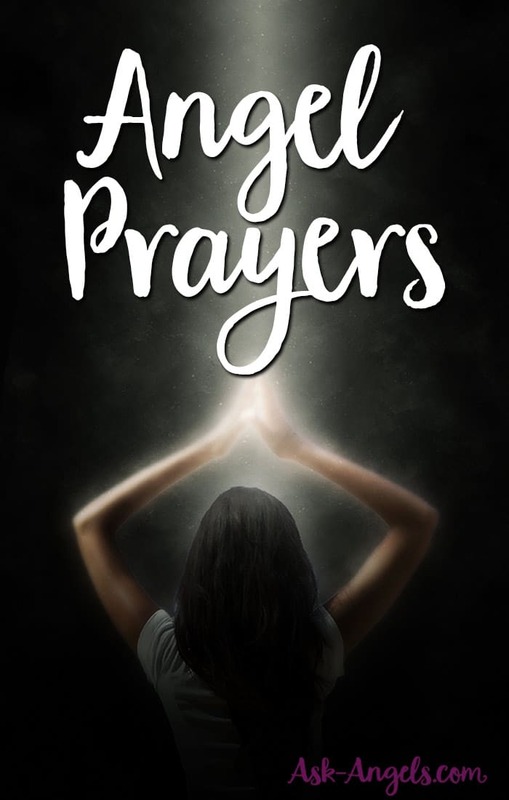 In this sense, prayer to Angels is absolutely recommended. In fact, in order to tune into the assistance of Angels, you have to ask for their help. What My Definition of Prayer? When asking angels for help, we’re not holding them up as being any better than you anyone else. Prayer is an open communication. I see meditation as listening for guidance from the Divine and the Angels and I see prayer as speaking. If you would like Angelic intervention in your life or if you would like support, guidance, and help shifting your vibrational frequency, you have to ask for help. Angels honor your free will, your ability to learn your life lessons, to go in the wrong direction, and learn through your experience. That’s very much why you're here. But understand that they are more than willing, ready, and available to help. This is why we ask the Angels for help; to give them permission to assist in our lives. And yes, it is divine will, God, the universe, whatever you want to call it, for the Angels to help us in accordance to our free will. In the prayers and invocations I put out, I’m simply talking to the Angels. I am communicating; requesting their help and guidance. There is no worship going on. There is no thinking that the Angels are better than us. In fact, we are all one. We’re all unique manifestations of the Divine. The Angels can help humanity to raise our vibration, connect, and more fully align with our sole purpose. Asking for help is not only recommended but encouraged. Talk to them with respect, with gratitude, and with love. And at any time, when you ask your Angels for help, it’s going to be hugely supportive. It will also raise your vibration, open your heart, expand your consciousness, and elevate your light. Lift, open your heart, and from this place, ask and you’ll have far greater results in getting your message through and then receiving guidance, love, frequency, wisdom, blessings and so much more. Listen to these prayers on YouTube here! What Does It Mean When Your Prayers Go Unanswered? Why is it that sometimes you ask your angels for help, but it seems like there are just crickets? Why does it sometimes feel like you are not getting support with your projects or manifestation? I want to reassure you that when you ask for angelic assistance, your angels are always here. You are heard. However, understand that there is so much more going on than you or me, as physical beings, can even comprehend or conceive. The first element you may not be considering is Divine timing! 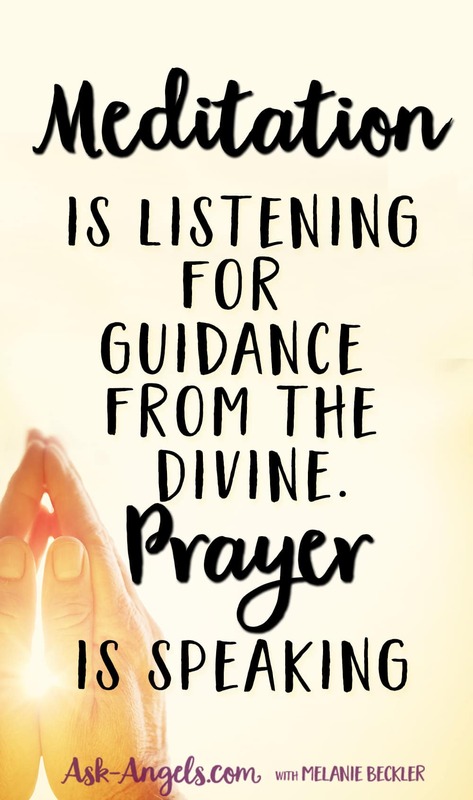 Often when we feel like our prayers are going unanswered, its because there is a big gap and difference between when we would like to see results and when is in accordance with Divine timing. Also, understand that in addition to your conscious desires as a physical being, there is a greater soul plan for your life. You, as a soul, came to earth with a certain mission, with a soul contract for the lessons you would learn, the challenges you would experience, and the service you would give. When it seems like the Angels are just not answering your prayers, when you're really trying to manifest something and it's just not happening, in most cases, the primary reason is that what you are trying to manifest is in opposition to the path that leads you towards accomplishing your soul mission. Understand that while you as a physical being can connect with your Angels directly, your soul is connected with your Angels, the divine, and the entire universe in every moment. Sometimes what you consciously want as a physical being is overridden by what will most serve you. This is where it’s powerful to surrender to divine will. Recognize that there is a divine will for your life and that perhaps what the universe has planned for you is far greater than what you are consciously trying to manifest. When you feel like your prayers are going unanswered or when you feel like your prayers are answered in a way that is opposite of what you were hoping for, surrender. Realize that there's so much more going on than you can understand and notice if there's frustration that arises in you. Assess to see if there is anger or feelings of being neglected or unloved that come up. Notice that and realize it’s a blessing in and of itself. A glass ceiling on your growth is your emotion. If you're carrying around a lot of density, negativity, and emotion, this can block you from your full and vibrant connection with source, your Angels, and your higher self. Tune into that anger and realize there is a deeper root. Be aware that your present situation may be, in small part, to highlight that anger, pain, or the feeling of being unloved. This can reveal a sense of internal disharmony still present in you. Rather than putting a band-aid over it, address the root and dive deep. Ask yourself, “Why do I feel so hurt and betrayed by this now and what is my higher self really trying to learn here?” Feel the emotion. Feel the pain and release it over to the Angels, into the light. Let go. Bring the presence of your higher self into the present moment so that you can then focus your manifestations in accordance with your soul mission in a manner that will serve all beings. Rather than judging yourself or your Angels, step back and ask, “Is this for my highest interest? Is it neutral? Does it even matter? What will serve?” And return to love. Keep asking for help and keep raising your vibration. Become a vibrational match with your highest soul light. Become a vibrational match with your Angels, so that Angelic guidance, love, and wisdom become accessible to you in the present moment. You are always loved, guided, and supported by Angels. I know now why my prayers were not answered.What I’ve asked for obviously was not for my highest good and good of all.So I will teach myslef to say that if my prayer is not answered that’s a blessing in disguise and it’s protecting me from soemthing while at the same time bringing something even better then what I could imagine. I ask angels for help and feel them as my friends in spirit.I praise God for all the blessings he is showering me with. Thank you Melanie for sharing your light. Your messages are always appreciated, you have a wonderful energy. I love all the mail and video’s receive from you. It’s so relaxing the way you talk and explain so relaxing. I appreciate your input. And yes I love and beleive in angels. I like to see if I can get in touch with my guardian angel. Thank you again and god bless.